The evolution of the internet over the past decade has spawned a new age of social interaction with social media having an effect on almost every aspect of modern life. Social media plays such a significant role in the way we see and conduct our own personal, philosophical and business lives that if you or your business don't adapt to the newest social trends you may get left behind. 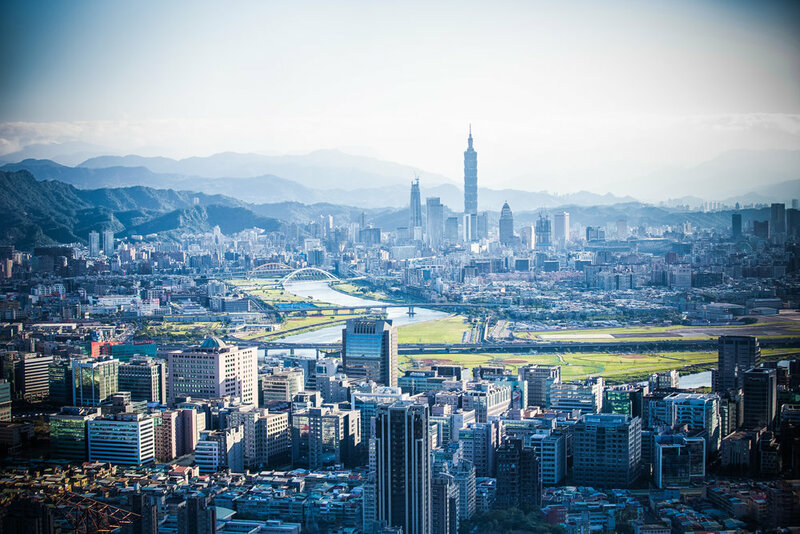 Life in Taiwan is no different as the people of this country connect freely to the internet and use it to conduct their daily business, stay in close contact with friends and family and pay attention to the latest news and trends in the country. Trends in social media have become so influential here that they are reported on daily by the Taiwanese media. It doesn't matter if it is a post from the front lines of a protest or the latest cat video on YouTube, the media here eats it up and often dedicates a large portion of their nightly broadcasts to some of this non-news silliness. Social-Media trends not only help to spread public discourse but also helps people find dates, inform theme where the best new restaurants and hippest coffee shops are, the best places to shop and even the hippest places to take photos. 101 is over that way! 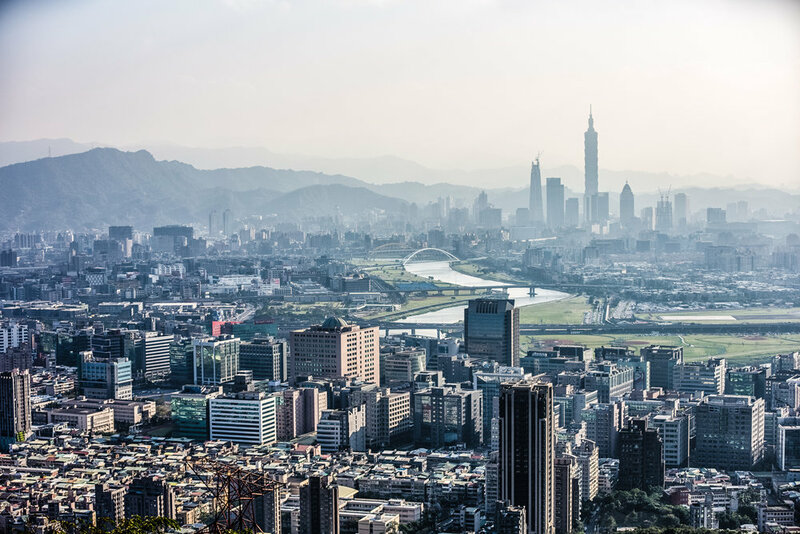 If you've lived in Taiwan for any period of time, you'll likely have discovered that when something is popular, people shower their attention upon it. If a new restaurant has earned itself a great reputation online, there will be lines outside and around the corner and copycats sprout up like bad weeds all around the place attempting to cash in on the success of others. Why am I taking about all of this you ask? 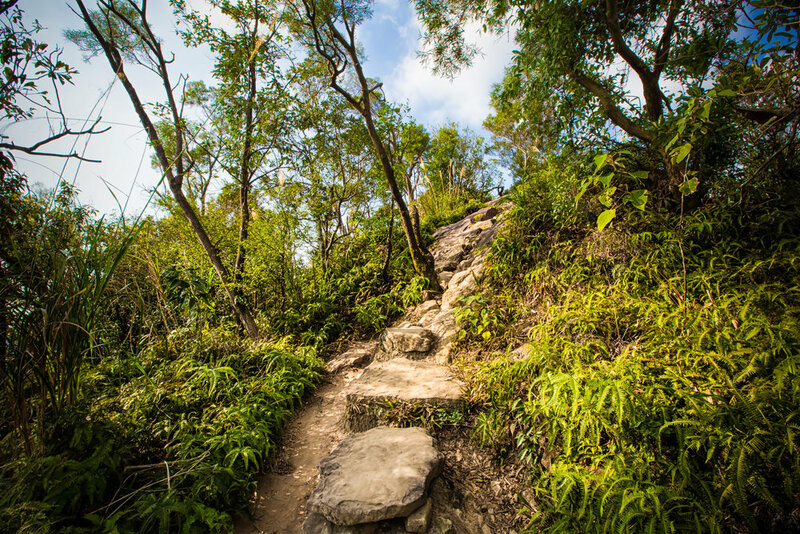 Well, if you follow social media trends in Taiwan you will probably have realized by now that climbing mountains has become an in-thing as of late. The purpose of climbing a mountain however is not for the health benefits of outdoor exericise, the thrill nor the feeling of success while standing on the peak - Its all done for the sake of taking a photo to post to social media. Over the past few months there have been a few hiking trails that have reached overnight success thanks to social media and because of that success the mountains are full of well-dressed traffic. Mountain trails like the Pingxi Crags, Huang Di Dian (皇帝殿), Wuliaojian (五寮尖), Kite Mountain (鳶山), Battleship Rock (軍艦岩) and the topic of today's post: Jinmian Mountain (金面山) are all trending as of late thanks to the power of social media. While I would typically be a bit cranky about having too much traffic on a mountain (people slowing me down) but when the trails are full of young beautiful women who is going to complain? I'm used to just seeing a bunch of sweaty old dudes. 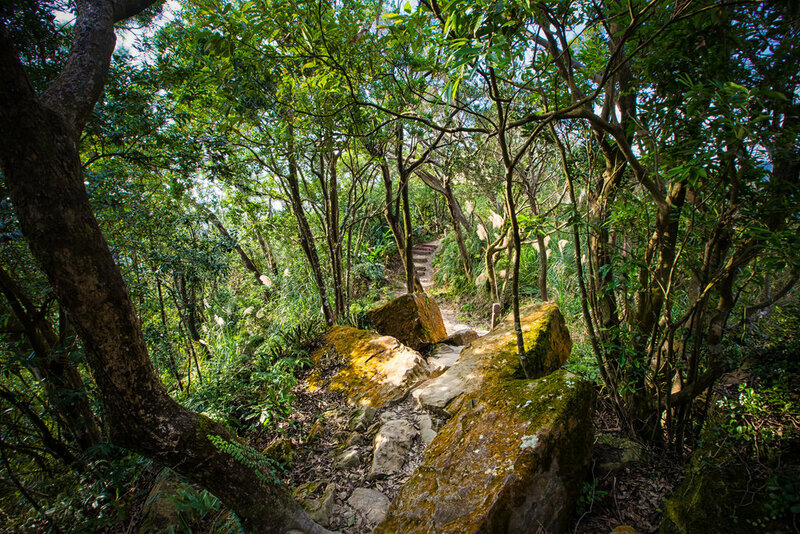 Today's post is about one of these mountain hikes which has recently become a social media fad - Jinmian Mountain (金面山) which translates as "Golden Face Mountain" and is also referred to as Jiandao Mountain (剪刀山) or "Scissor Mountain" is a short hike in Taipei's Neihu (內湖) district. The mountain is not a large one at only 258 meters above sea-level but it is high enough to give excellent views of the city. Like a lot of the other hiking trails in the city, the trails are very well-developed and taken care of and there are markers along the way that ensure that you won't get lost. 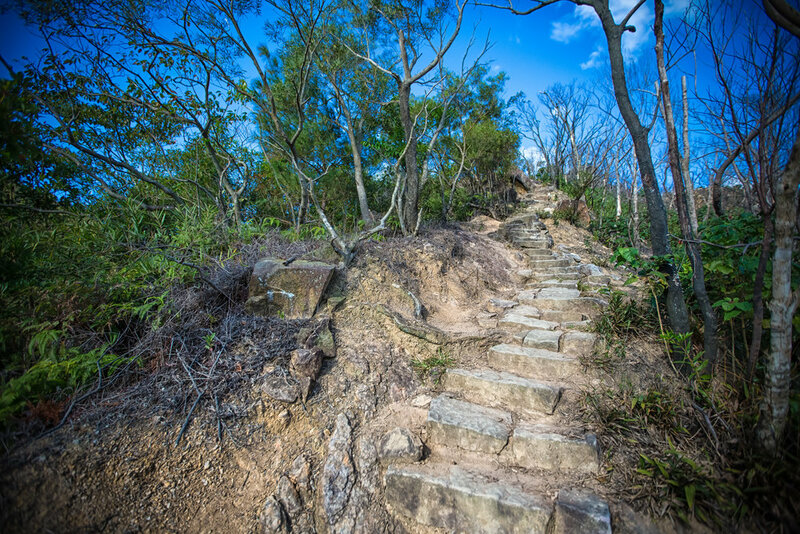 The Jinmian Mountain Trail (金面親山步道) that takes you up to the mountain is only about a 30-40 minute hike and should be quite easy for anyone in relatively good shape. I would say that for most people, hiking Elephant Mountain (象山) is likely a much more difficult experience than this one but I'm used to walking up ridges. Jinmian Mountain differs a bit from the nearby Elephant Mountain hike in that the route to the top is more like walking up a ridge than a well-developed set of stairs. The ridge aspect of the hike makes it seem more like an actual hike but I'm sure it might be a bit frightening for some people who aren't avid hikers and if you show up dressed in heels, you're going to be disappointed. 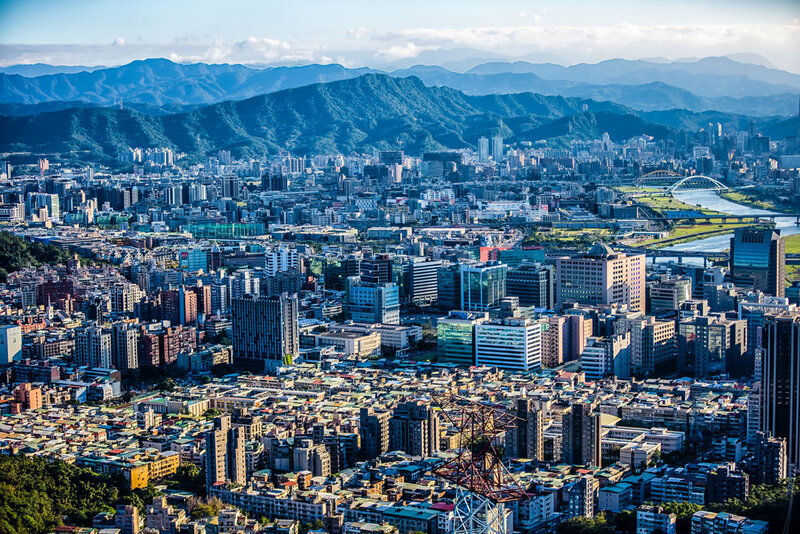 If you make it to the top though you will be rewarded with spectacular 360 degree views of the the Taipei cityscape and the mountains behind Neihu district. You'll also get the chance to take that all-important social media picture on top of the popular scissor-rock which faces the back of the peak. The city is surrounded by beautiful mountains. 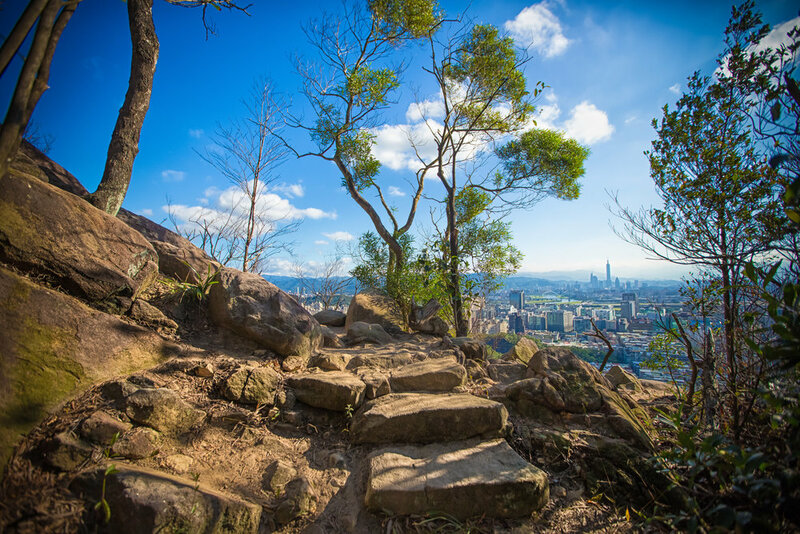 There are three trailheads that you can take to get to the top of the mountain: The first trail is a short walk from the Xihu MRT station (西湖捷運站) that takes you just past Takming University (德明財經科技大學) and is a shorter but more difficult hike that takes you up the ridge. The second trail is a short walk from Wende MRT Station (文德捷運站) and takes you past the beautiful Bihu Park (碧湖公園) area up a much more leisurely and forest covered route. This route is a bit longer but is also easier on the knees. The third route is for those with cars or scooters and takes you up the back park of the mountain to a car park where you let the car do most of the hiking for you. The top of the mountain is where you're likely to see the most traffic with people lining up to get photos of themselves on the "scissor rock" which is the reason why there are so many people up there these days and is what has created all of the social media hype as of late. When I first hiked the mountain, I did it on a holiday weekend and there were far too many people on top of the mountain to make it a comfortable or enjoyable experience. I enjoyed the hazy view for a few minutes and waited patiently for a spot to get some shots of the city before leaving. While at the top of the mountain I was a bit surprised to see that people were willing to wait for such a long time to get a chance to take a shot of themselves on top of a rock while almost completely ignoring the beautiful cityscape on the other side. Being a bit of a weirdo, I spent all of my time taking photos of the city and the landscape and pretty much ignored scissor rock. I did the hike a second time a few days after the first with much better weather, much less haze and thankfully much fewer people (I hiked it on a weekday morning). The experience was much more enjoyable as I had the ability to move around freely to get the shots I wanted while not having to wait around for others to move. I even had a chance to hop over onto the rock to see what all the fuss was about. Sorry though, I didn't take any selfies. If you are reading this and you want to do this hike but want to avoid the masses of people and long lines for photos, I highly suggest doing it on a weekday so that you can enjoy it a bit more. Popularity is a fleeting thing and the traffic on this mountain will eventually go back to normal. 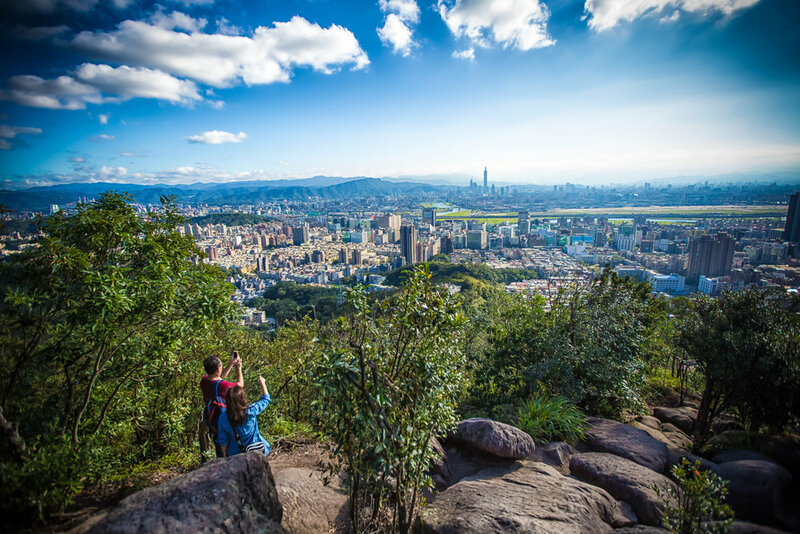 When it does, it won't change the fact that this mountain is an excellent little afternoon trip for people who are both living and travelling in Taipei and want to enjoy the beauty of the city. Even though it is an easy hike, I'm a big fan of it and really enjoyed my time sitting alone on the peak with airplanes taking off in the distance. If you're in Taipei and you're looking for an alternative to Elephant Mountain, this one should be high on your list of places to visit. If you're Taiwanese and you want to get that shot, just remember not to wear high-heels. It's an easy hike but it's still a hike. You're going to get sweaty!